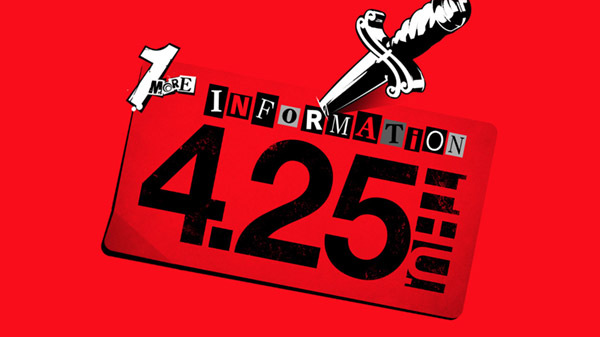 "1 More Information" incoming on April 25. Atlus has launched a new teaser website at P5S.jp, teasing “1 More Information” for release on April 25. April 25 is the second day of the “Persona Super Live P-Sound Street 2019: Welcome to No. Q Theater!” concert at the Ryougoku Kokugikan in Tokyo. After an initial tease in December 2018, Atlus officially announced Persona 5: The Royal for PlayStation 4 in March via a 30-second commercial. More information on that will be announced on April 24—the first day of the concert.